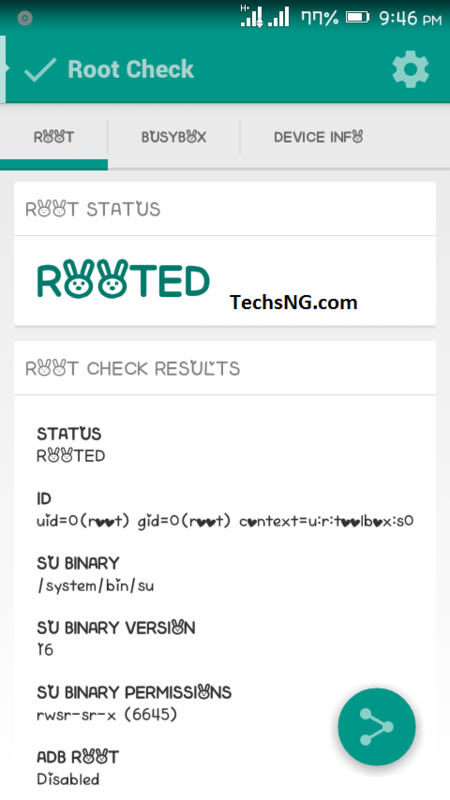 Still on the infinix hot x507 android smartphone, we have got another interesting tutorial which talks on how to download, install and use fonts on the infinix hot phone. I quite understand that most people would be wondering ‘Why do I have to bother myself with fonts?‘. Well, using fonts on your android phone isn’t mandatory. It all boils down to your taste and how stylishly, you want to be seeing characters and figures on your phone. Personally, I love customizing my phone. I am still rocking the Lumia launcher on my device. When people see my phone for the first time, they’d be like ‘Which Nokia Lumia phone is this?’ It all boils down to our taste. I’ve been using fonts on the innjoo note and I am also loving it on the infinix hot phone. Taking the customization game a lil further, If you’d like to customize the writings on your phone by using fonts, then follow me on this ride but first, see one of the fonts I used on the infinix hot. ==>First and foremost, your phone needs to be rooted. You can follow the instructions HERE which should guide you to rooting your phone. ==> Download and Install iFont From Google Play Store Here. ==> Tap on download and wait till it’s successfully downloaded. At this point, download will change to Set. ==> Click on set and if asked to grant access to root, Tap on Grant. Tap on OK and your phone will automatically reset. Wait till it’s done restarting and you should see the new font has taken place. You can change your font as much as you want on the infinix hot phone but it’s advised you only download and use a few you are comfortable with. bro I really like ur concern to help.. I tried bhu when i click set it saying “font size is 331kb remaining storage 4kb 1.0 seconds and all dat…. Emerazz, perhaps, your phone is running out of storage. hello, please how can I delete unwanted contact from Infinix hot x507. I have been trying to delete some contact but I couldn’t. I pressed it down but all to no avail. please help. Lawrence, just navigate to settings > Security > screen lock. Sorry Anonymous but you cannot change the infinix note note phone font without rooting first but if i may ask, why are you scared of rooting? Hello Tope, Please which topic are you making reference to? Are you sure you are posting your question on the right topic? Are you getting any errors? Just launch the playstore app and enter your gmail account details or create new if you do not have any. please how do I revert back to my default fonts that came with the phone even after uninstalling the app, it still did not change….please help me…. Go through the app, Tap on “MY” Tab. Tap on My download and choose factory font. Nice share… However , noted that here is “ifont” and “HiFont” apps on playstore. Glad it worked for you. But ifont was what i suggested on the post and not hifont. Thanks for commenting.